Food was amazing. I got the birthday gonzilla ice cream It was not worth $99. Way too much whipped cream on top. I expected to spend a bit of money at this restaurant as I would at any famous strip restaurant, but this place is not worth it at all! I would not recommend it. The food was mediocre at best. Our party had 2 birthday girls in it and I just expected something more. It was like going to chili’s or any other random place. The waitstaff had no greeting and no personality. I don’t expect balloon animals but if you’re gonna charge strip prices and hype a restaurant the way they do, I expect them to deliver. Skip this one and go next door to Benihana. Slow service. It was busy. The goblet drink presentation was impressive and something to experience. However it is $39 and light on alcohol content for the price. It’s super sweet! Food is average- nothing spectacular. Took my daughter for her birthday. She had on a birthday shaw etc... the waiter served our food and 30 min later came back with the bill and to go bag. 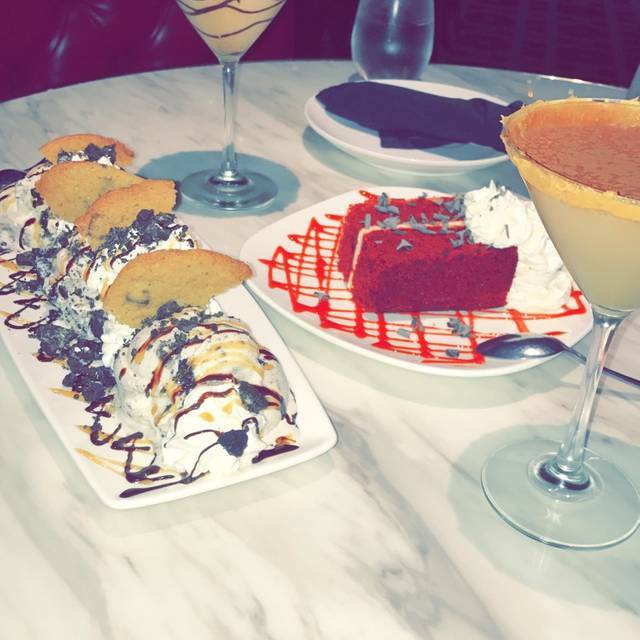 Never asking us if we wanted desert or the birthday sparkles. The one in Seattle was much better. Good food fast service, a little bit too loud as we hoped to be dining in the lounge but instead got moved downstairs, nothing stood out to make me want to return though! 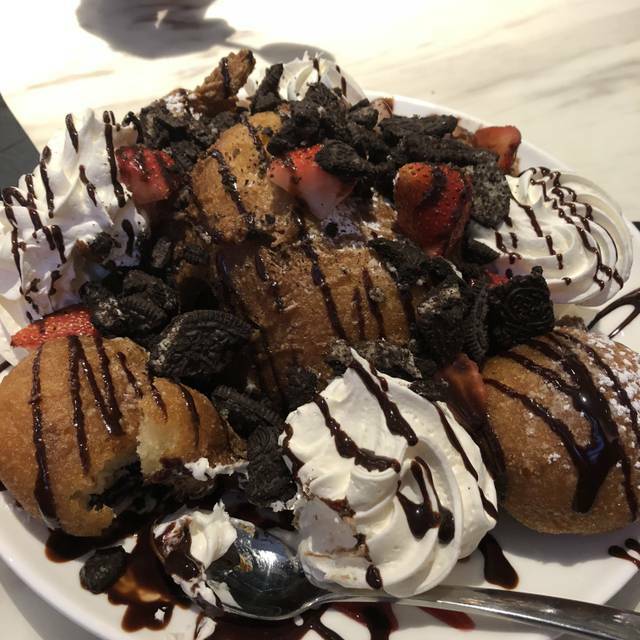 Although the food was good and milkshake amazing, i was really disappointed when i made a reservation in the chocolate lounge for our anniversary fun dinner, then to get there and be told the chocolate lounge is closed. Major fail in my view. Downstairs was chaotic and very loud, felt like we were in a club not a candy store/restaurant. The chocolate lounge was quiet on the other hand. Chocolate lounge was closed when we went, and as you see our reservations say Chocolate lounge!! Not happy at all!! If I had one word to describe the Chocolate Lounge I'd have a hard time choosing between closed and disappointed. The same goes for OpenTable. 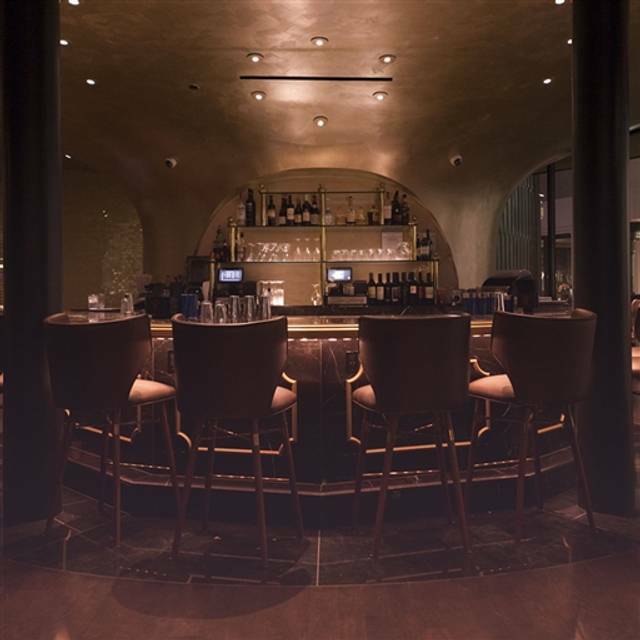 In November I set out to pick the perfect place to have a birthday dinner for my fiancee. I decided on the Chocolate Lounge in Las Vegas. I live in Phoenix, so this was no small decision nor one made lightly. I began planning an entire trip to Vegas around the lounge. 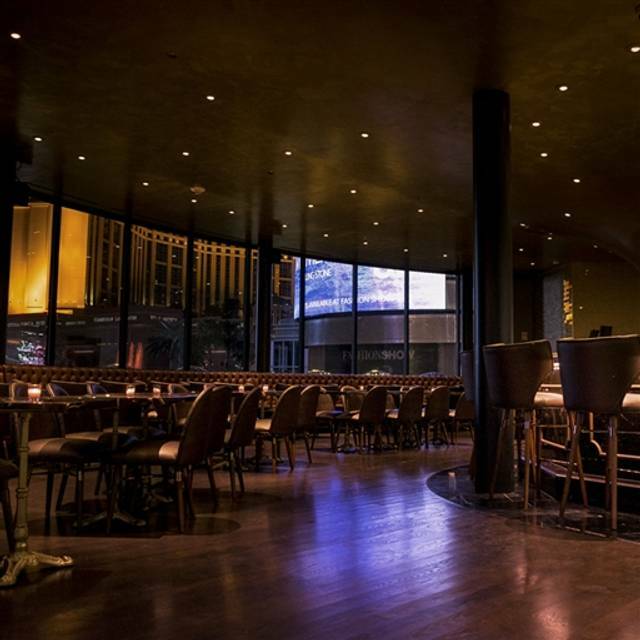 The day we left for Vegas I confirmed everything with both the Lounge and OpenTable, which even sent me an email saying I had a table waiting for me. Upon arrival, we were told that the lounge was closed due to lack of interest. I have never before felt such complete and utter disappointment. The staff was flippant and dismissive. At least the drinks were tasty. So kudos to the bartender who helped start the night of drinking in an attempt to quickly forget the Chocolate Lounge experience. I won't be back, nor do I plan on using OpenTable for any event or special occasion that requires confirmed definite reservations that the restaurant will honor. Too loud, over priced, and food was blah.... Good treats but won't order anymore than that again..
Jeremy was the best! 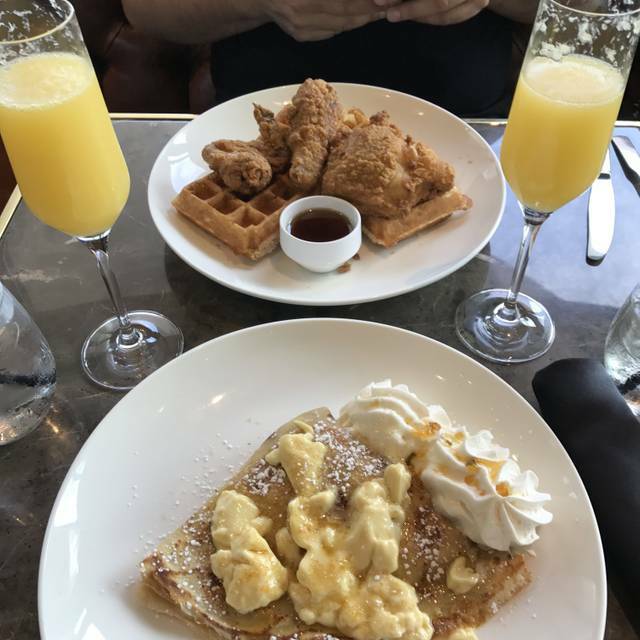 His recommendations from the menu helped a lot food was delicious, can’t wait to come back! I celebrated my wife’s birthday, and the entire staff went out of their way to make it memorable! Especially the pastry chef! The service was great and the food delicious! We reserved a spot at the chocolate lounge only to find out upon arrival that it was closed that evening. 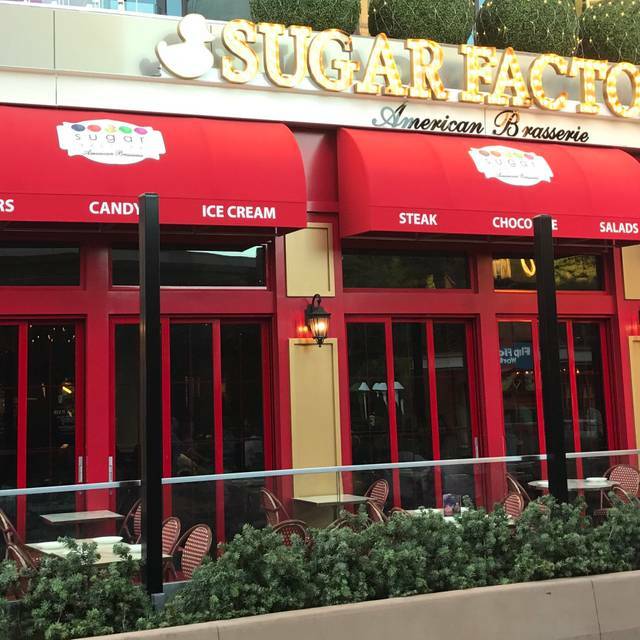 We ate in the sugar factory but it was very kid friendly and not at all the vibe we had been hoping for. The music was very loud, and overall we were disappointed. Very run down looking. No reason for reservations we were the only folks in the place. Everything was overpriced. I rated based on experience. When we showed up for our reservation, we were turned away because it was closed, they only open it if they have enough reservations, and since it wasn't the weekend it was slow so it wasn't open. #1. I shouldn't be allowed to make a reservation for a place that is closed. #2. If it is closed, then I should be notified so I can make other plans. #3. The trip to Vegas was a surprise trip. This day was built around this reservation because we could see a mini Willy Wonka world and enjoy a birthday dinner and candy themed drinks before calling it a night on our last night in town. We were stoked to go. To say I was dissatisfied is an understatement. Awesome food choices. Jalapeño burger was to die for! Great service and waitress was pretty amazing. I really enjoyed the atmosphere. The food was pretty good, some items were a bit overpriced. 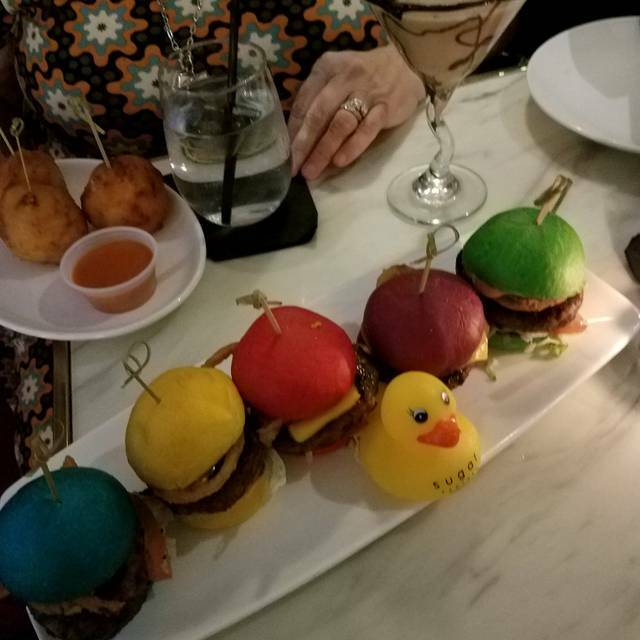 The drinks and the pretty patties were good. The service was slow and salad we ordered didn’t look anything like the photo on the menu. I would not visit again for dinner. Reserved the Lounge, but when we arrived, we were told the Lounge was not available due to a Private Party. So we did not get the experience we wanted. Also prices would help in the drink menu - I knew the drinks would not be cheap - but I thought $40 was pricey - glad we didn't get 2 of them. Great modern restaurant. Upbeat environment. Been here twice and food is always good. I was there for a special occasion with my family, but I was disappointed with the service, we waited for more than 45 minutes for our waiter to take our order, we told him it was a special day (Birthday) to sing happy birthday at the end of our meal and bring the ice cream and he totally forgot, this was my first visit ever to the sugar factory and I promise you it will be my last visit as well. You guys need to hire more staff. The drinks were insanely overpriced. Service was terrible. It was ok for a one time thing, only because the kids liked seeing the drinks get poured. I wouldn’t go back though. Extremely over rated! Got the fondue for two and the chocolate didn’t even come in a fondue pot, just bowls on a large platter. Also EXTREMELY loud atmosphere, the music was loud as well as the people in the restaurant. Couldn’t hear what the person next to me was saying. I don’t recommend this place to anyone. It was horrible! We headed over after a show since we had our teens with us in Vegas and it looked like a fun spot. First they seated us in a spot where we had to pull out our phone flashlights to even read the menu. The first waiter came by briefly to check on us and then came back and moved us when we asked for more light. No issues with the service and second server where we ended up was good as well. The food was only ok. I probably shouldn't have ordered a french onion soup at a place like this but I wanted some. It was super salty to the point of inedible. The goblet drinks are $40 and up with alcohol which I totally expected so the prices weren't surprising but I would like to have more value for my money. The chocolate fondue was super disappointing for $25. The menu said homemade marshmallows but what we got looked and tasted like mini Jet Puffed from the store. The strawberries were obviously previously frozen and limp and the bowl of chocolate was tiny and didn't have a way to keep it warm. I can see coming here for one of the drinks or a sundae but everything else was eh. Also the bathrooms were disgusting. 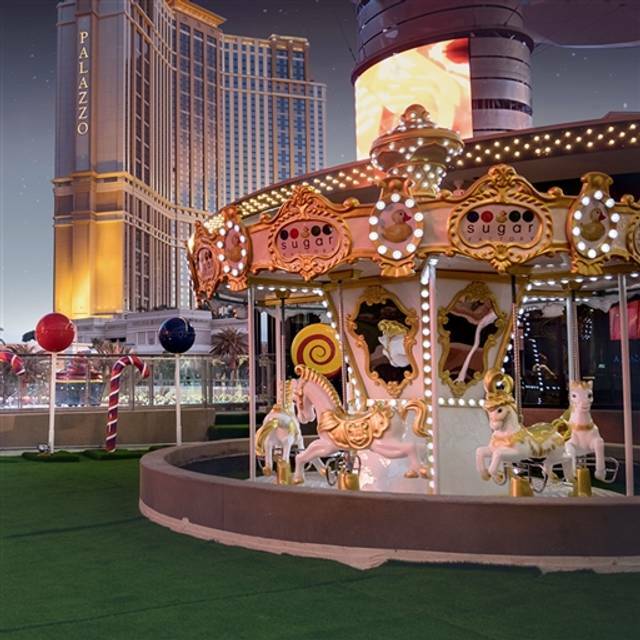 I know this is an excellent location but they will have to step up their offerings to hold onto this kind of premium spot on the strip. The place was pretty empty compared to other places we passed for an summer evening in Vegas. I wouldn’t go back, I was sick all night after eating there. Service was terrible. We ordered drinks and our waiter never came back to refill our drinks or ask if we wanted food. Would not go there again. 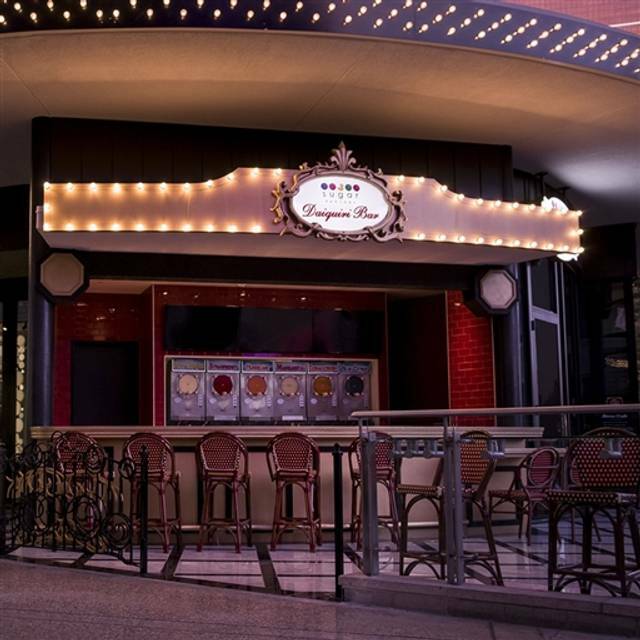 Wonderful service, but unfortunately the Sugar Factory has made changes to their menu including eliminating chocolate from their menu in the Chocolate Lounge. We were very disappointed. Our burgers were overcooked, so we cannot recommend them. The chocolate martinis were amazing! The food was so much fun for us adults and especially the kids. Shakes were delicious. The service was sooooo slow so it was a bit frustrating. Don’t get Jason as your waiter. He was awful and we had to hunt him down for everything we needed! Everyone and everything else in there seemed cool though!